This survey is being conducted to gather opinions about the quality of programs and services in the Valdosta City School System. The information that you provide will help us evaluate and improve how our schools, families, and parents work together to help all students achieve academically. We are interested in improving the relationship between our schools and stakeholders of the children we serve. You have until Friday, April 30, 2018 to complete this survey (click link). 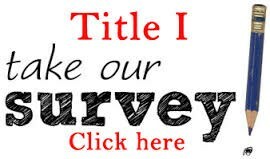 Please complete one survey for each school that your child(ren) attend(s). Your responses will remain anonymous. Your input is valued and appreciated. If you have any questions about this survey, please contact Dr. Dan Altman at 229-671-6013.